Midsize businesses face unique challenges related growing their business, recruiting and managing employees, and investing in and maintaining IT infrastructure and applications. While large enterprises have budgets to buy technology, and the expertise to manage complex systems, midsize companies have no such luxury. Budgets are tight, skill sets are limited (or at least limited to a fewer number of people), and time horizons are tighter, with less room for error. Perhaps because of these differences between midsize companies and large enterprises, evidence is showing that midsize companies are moving to Cloud computing and applications at a faster rate, and that the Cloud is the "great equalizer" for small and medium sized businesses. Whereas in the past bigger enterprises made investments in large scale technology and applications, and medium sized companies with aspirations to grow followed suite, today the situation seems reversed. Midsize companies are moving the Cloud first. Large companies are seeing these successes, and are overcoming their hesitancy to move to the Cloud - if not fully, at least in part, by moving to the Cloud in phases, via a "co-existence" of Cloud and on-premise applications. While Midsize companies are first movers to the Cloud, they do face some classic challenges. With limited budgets and less deep pockets, midsize companies are often daunted by relatively high p\upfront implementation costs. 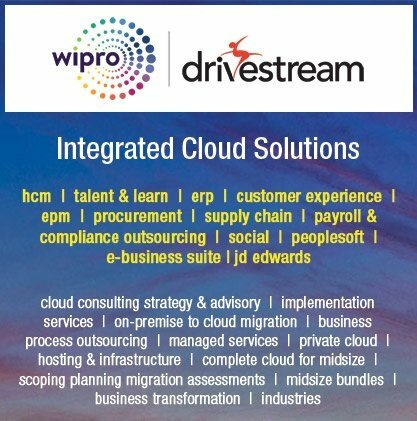 While moving to the Cloud obviates the need for IT infrastructure investments, there are still costs associated with implementing Cloud applications, whether it's for Human Capital Management (HCM), financial management and accounting (ERP), sales and customer experience, procurement, supply chain, etc. These costs can run upwards of 100s of thousands and sometimes even $1 million plus dollars. Coming up with this budget all at once poses a challenge to the midmarket CFO, and proves to be an uphill battle for the CIO. Implementing a Cloud based application often involves multiple vendors. It is rare that a single vendor provides everything that a company needs. There are different multiple vendors for software, implementation post-implementation support, and tax & payroll compliance services for HCM. Dealing with multiple vendors pose a challenge to Midsize companies, as they have less staff and resources to manage and negotiate with vendors. There is also problems of post-implementation support - once a solution is implemented, who will support the organization? Will more staff need to be hired and trained? How will that affect the budget? What about managing payroll and tax compliance services, like tax filing and processing, reporting, garnishments, etc.? These are all concerns that business users and finance managers need to address. And of course, as mentioned above, midsize companies have have limited staff to manage and maintain the system, and usually have to turn to outside vendors to help with support and on-going maintenance. Having identified the key elements (and challenges) of implementing a Cloud solution, one can see that there are multiple components in the chain of Cloud implementation. And all, one hopes, at a lower Total Cost of Ownership (TCO) than the on-premise alternatives. Business process services that solve tax processing and compliance requirements. At Drivestream we understand that all these concerns and questions are real and legitimate. We have implemented nearly 100 Cloud customer deployments, with nearly a dozen Cloud payroll projects under our belts. 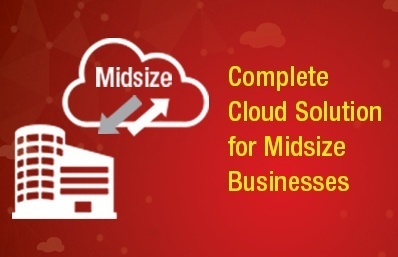 Many of our customers are Midsize businesses, we understand the pain points of Midsize clients, so we have devised solutions that provide a Complete Cloud experience, with Business Process Outsourcing Services that are affordable, and lowers the barrier to entry for businesses moving to the Cloud. We will be discussing some of these solutions in upcoming discussions and posts.